A warmed-over debate regarding the allocation of hotel bed taxes split the council once again on Tuesday evening, as local organizations vied for their piece of the pie. After the taxes are collected and paid to municipalities, those cities have the option of disbursing the funds to 501(c) organizations that are tasked with “putting heads in beds.” In Lockhart, those organizations are the Lockhart Chamber of Commerce, the Greater Caldwell County Chamber of Commerce, the Gaslight-Baker Theatre, the Southwest Museum of Clocks and Watches, and the Caldwell County Museum. For years, debate has swirled about the distribution of the taxes, with many believing that the Lockhart Chamber of Commerce should give up some of their share, in order to help fund the Greater Caldwell County Hispanic Chamber of Commerce to increase their funding base and attract more tourism. Historically, though, the council has declined to split the funds evenly between the two organizations, embracing the feeling that the funding should be allocated proportionally based on current tourism draws, rather than on possible future activities. This year, the city’s Finance Director, Jeff Hinson, recommended that the percentage of distribution remain as it has been in the past, with the Lockhart Chamber of Commerce receiving 59 percent of the available $39,200 and the Greater Caldwell County Chamber of Commerce receiving 19 percent. Each of the museums is earmarked for 3.7 percent, while the theater will receive 14.6 percent. Those allocations, however, caused heartburn for not only members of the council, but for members of the public. Councilmember Angie Gonzales-Sanchez, on the other hand, believes the City should stop paying the funds to any organizations. Mayor Lew White pointed out that recent research into the idea of a convention center could cost the city upwards of $5 million, and that the current allocations at $39,000 per year would scarcely make a dent in that cost. With a history of being a proponent for a more even distribution, Mayor Pro Tem John Castillo said he believed that, in order to “get past these obstacles of ‘this one gets more than that one,’” the council should distribute the funds evenly between the two Chambers. Councilmember Kenny Roland said he would prefer to withhold the money to use it for other needs within the city, but since the allocations had to be made, he encouraged the organizations to form a committee to decide amongst themselves how the allocations should be calculated. Castillo argued that the council had been elected to make those decisions and said he would rather have the argument at the dais, instead of in the community. His interest, he said, was in making things more fair. “It’s not a fair life,” Roland said. Eventually, the council voted to keep the allocations the same, with Castillo and Councilmember Juan Mendoza standing against the decision in a 5-2 vote. White said it was likely that the conversation would come up again. In other business, the Boys and Girls Club of South Central Texas Director Elton Fite approached the council to discuss the BGCSCT’s Keystone Club, and to discuss rental of space in the old hospital to host the Boys and Girls Club. Fite explained to the council that the Keystone Club, a function of the Boys and Girls Club, works with around 20 youth in the area, and has had difficulty in maintaining a trusting connection with the youth, based on their lack of a local facility. City Manager Vance Rodgers presented the item “in the interest of a public purpose,” and said that utility costs for the facility would be covered under the lease. The Council unanimously approved negotiating the lease on the facility, which is expected to take possession and set up shop in February 2015. The council also discussed the City Ordinance governing Portable Food Establishments, to clarify the regulations which some business owners say have forced two local businesses to close their doors this fall. According to Rodgers, the city ordinance falls in line with requirements by the State Department of Health, and that no changes to the ordinance were necessary. Instead, he said, he hoped to provide clarification to the council as to the requirements spelled out in the ordinance, and the difference between “portable” and “transient” food establishments. Both types of business, he said, must prepare their food in an approved kitchen, and must deliver the food from that area. For example, a food truck may have an approved, indoor seating area, but may not wait on customers in that area – the customers must instead pick up their food at the window and take it to the seating area on their own. Additionally, transient businesses may operate out of an approved kitchen, but from private property only. They may not operate in a public right of way. After gaining a deeper understanding of the ordinance, the council opted not to make changes. The newly-formed council opted to elect Gonzales-Sanchez to serve as Mayor Pro Tem for the coming year. They approved interlocal agreements with Caldwell County, Travis County Emergency Services District 11 and Travis County Fire Rescue for the use of equipment and mutual aid services for the Lockhart Fire Department. They also entered an agreement with the First Lockhart Baptist Church for the use of parking facilities for full-time Fire Department Staff. Rodgers announced the coming retirement of Fire Chief Jerry Doyle, who will step down on Jan. 31, 2015, after more than 40 years service to the City of Lockhart. 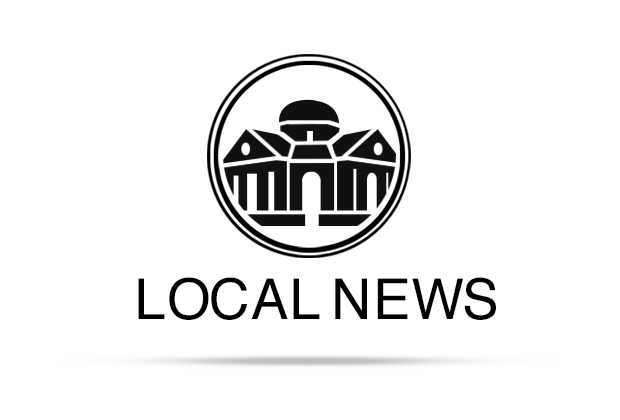 They discussed, but did not make a decision, on how to fund health insurance for retired City of Lockhart employees who do not yet qualify for Medicare Supplemental plans. The Council will hold a workshop on Monday, Nov. 24 to discuss the matter at greater length. The Lockhart City Council routinely meets on the first and third Tuesday of each month in the third floor Council Chambers at the Dr. Eugene Clark Library Complex. The meetings are open to the public and are televised on Time Warner Digital Cable Channel 10.